Comments: Binding and pages have been heavily repaired and reinforced with tape, has tape and stickers on the cover, as well as marks and notes on the pages. Definitely not pretty, but it's a working copy at a great price that ships fast. ~ Book does NOT contain an access code or CD. 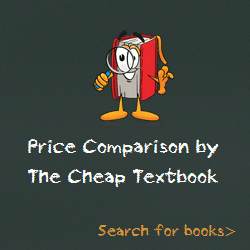 ~ We take counterfeit textbooks seriously, and inspect our books to make sure we you get the authentic, authorized textbook you need for college! This entry was posted in Book and tagged 0133496597, 978-0133496598, 9780133496598, Robotics.